OPINION — If you, like many Americans, have access to a calendar, you may have noticed that it’s now December, and Christmas is just around the proverbial corner. This is not necessarily a Bad Thing unless you, like many Americans, routinely receive credit card bills that resemble the GNP of Uzbekistan. To quote one of America’s greatest poets, Charles Dickenson, “Christmas waits for no man, regardless of his debt ceiling.” Or words to that effect. I'm not quoting President Trump, other than the illustration above, which my editor forced me to use in order to grab your attention. I am writing about something much, much more important. So, in the spirit of the season, it’s time once again for our annual Christmas Gift Guide, which we offer every few years or so, provided we can find our socks. Our crack team of researchers has spent literally minutes scouring the internet, the outernet, and a Bass Pro Shops catalog someone left in our office, in order to offer you our comprehensive list of Christmas selections that’s sure to bring joy and happiness and several other emotions to your loved ones on Christmas morning. Void where prohibited by common sense. Some restrictions may apply. Actual joy may vary. Those readers who wish to make the Christmas of 2018 one that will be remembered in perpetuity are advised to skip the malls and lines and traffic headaches altogether, and give everyone on their list a Nissan Frontier this year. Our crack team tested one of those for a week a while back, and they all agreed that it was a bad idea to let the dog eat those leftover enchiladas before taking him for a ride. Scotchguard is a great product, but some smells just don’t fade much with time. The Frontier makes a fantastic gift, though, one that will never be forgotten, especially by whoever is making the payments. You tightwads, of course, will be looking for something a little more affordable, but still unique, to slip under the tree. 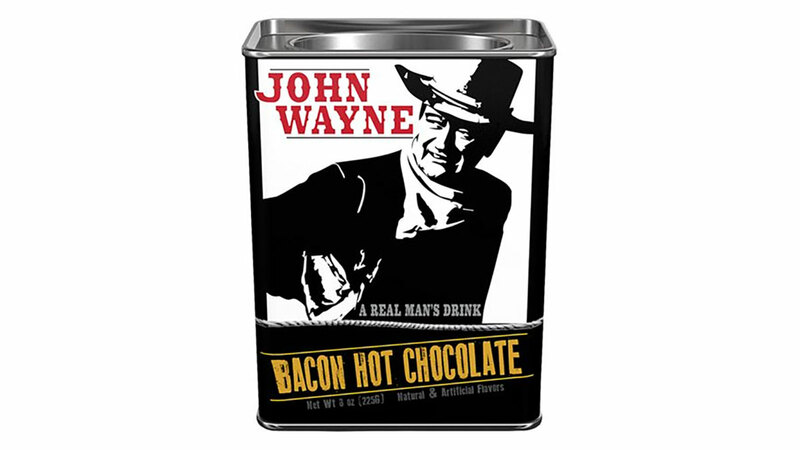 We recommend a nostalgic, decorative tin of John Wayne Bacon Hot Chocolate Mix from BPS. According to the catalog, the contents of this tin ‘makes a delicious hot drink in an instant.’ It’s billed as ‘a real man’s drink,’ and if any of you actually try it, please let us know what it tastes like. No one on our crack team was willing to give it a shot, and even the dog evidently preferred the enchilada exit aftertaste to the mysteries of bacon and hot chocolate together. Fortunately there’s a picture of The Duke on the tin, and it should make a great place to store valuables, since it’s unlikely to be stolen. For those on your list with a green thumb, we recommend a mixture of acetone and rubbing alcohol. If that doesn’t remove the stain, we’re not surprised, since we just made that up. But if you’re looking to delight the gardener in your life, check out Agrobits Zlking Dolphin Succulent Bonsai seeds, which you can order from Amazon. For less than a Jackson they’ll send you a batch of seeds that will, according to the ad, grow a succulent plant whose leaves are shaped like little porpoises. 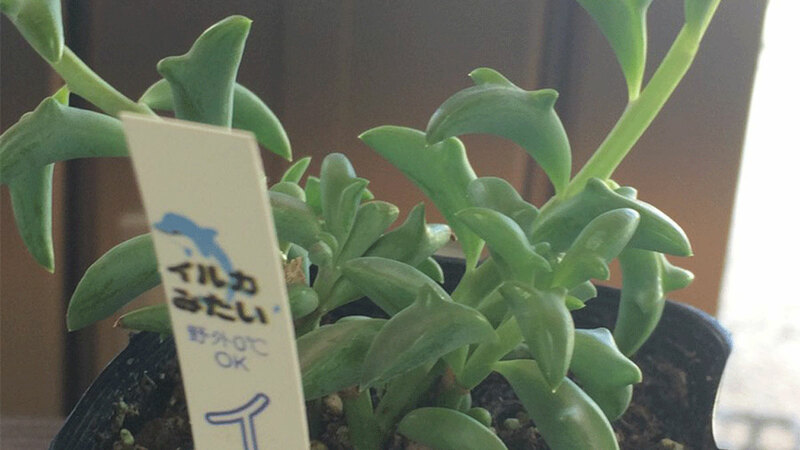 Which is why it’s called the Dolphin Succulent. Obviously. If someone on your list has a sweet tooth, you might want to visit The Vermont Country Store. Online, of course, since Vermont is like nine zillion miles away, up north someplace, and is snowed in from September until approximately Armageddon. But, to judge by the offerings from the online store, the folks up there spend all winter indoors, cooking up some delicious cakes, cookies, candies, and various other delectables, and Lyman is looking to unload some of them on you, because quite frankly he and his boys are full as ticks. See, The Vermont Country Store was opened up in 1946 by Vrest and Mildred Orton in Weston, Vermont, because they were snowed in and couldn’t leave the state. It was a general store to begin with, but in some specific year, which I’d tell you if I cared to look it up, they started shipping sweets all over the country, because Americans are way too thin. Or something. Now the store belongs to their grandson, Lyman, and his three sons, Cabot, Gardner, and Eliot, who are nowhere near as fat as you’d expect. But while the sweets are interesting, that’s not what caught our attention. The store is still pretty general, and the Ortons offer a wide variety of stuff, such as clothes and dishes and decorations. Not that those things caught our attention, either, being normal, boring stuff. 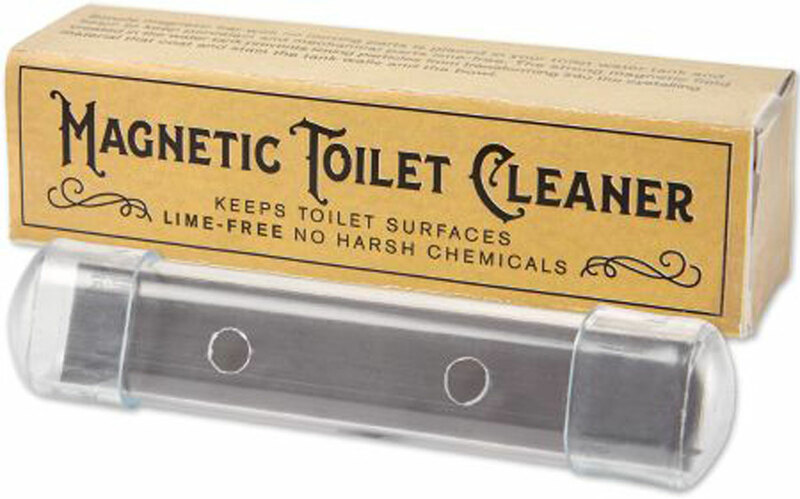 No, the item that put The Vermont Country Store in our annual Gift Guide is a little doohickey called the Magnetic Toilet Cleaner. Really. We have no idea how it works, and we don’t want to know, but for thirteen bucks Lyman will send you a box of four of these little jewels, and you’ll never have to clean your toilet again. Well, unless your dog gets into the John Wayne Bacon Hot Chocolate Mix . . . I admit it. I made a mistake. I read the article. I am not real sure if the contributor's mother actually knows her child is writing stuff like this as opposed to finding a job that is more bent toward their talent. I will simply leave it at that. We always like to just get practical gifts like new towels or household items. It is usually something you end up purchasing eventually anyway. That and feeding the entire family for a couple of days usually spends my budget. I asked a lady if she was ready for Christmas this year and she responded, no, it is just not the same anymore. Can anybody explain that or what you do to remedy it. I would say just enjoy the time off work. This great thing requires interpretation. My dad used to say jokingly, there are only two perfect people in the world, you and me . But now, I am starting to worry about you. Great is relative to your own self confidence sometimes. But it is good to have pride or self confidence, if it is tempered in a rational or realistic sense. It is always better to let someone else say you are great versus telling yourself you are great. Grasshopper, whether you are great depends on how you view yourself. But then you have to forgive your biggest critic, yourself. In other words, someone can say, make me great again. Then the only response is that depends on you.